In an effort to ensure that we’re providing the best options to the San Diego area, we include soda blasting alongside our quality sandblasting, crushed glass blasting and abrasive blasting options. Whether you need the service for its benefits in rust treatment or as a means to provide a deep cleaning that leaves almost no mess behind, making the choice to call Sandblasting San Diego for your needs will provide you with the best possible results at the low prices that our company is known for. One of the most beneficial effects that soda blasting brings to your property is the effect that it has on rusted surfaces. Not only does soda blasting provide you with quality rust removal but also has an inherent rust treatment due to the oxygenated nature of the water being used. This can provide you with rust remediation effects that will work on your installations for a long time to come. Whether this is for vehicles, equipment or otherwise, this particular choice can bring you a myriad of results that you wouldn’t expect from a power washing option. Another key benefit that soda blasting provides to your property is the limited mess made by this particular cleaning and treatment option. Whether using the service for surface preparation or as a means of cleaning various surfaces such as fences, security gates and outlying buildings, the natural evaporation and lack of abrasive particles will ensure that you can get quality results without needing to worry about a large mess to clean or debris landing on surfaces around your property. For an option that provides you with a long list of benefits, you can count on the soda blasting that Sandblasting San Diego provides. Whether for industrial properties or residential, choosing soda blasting from Sandblasting San Diego will bring you a high level of clean no matter the surface. From breaking down years of buildup across your property to ensuring that you get the deepest level of clean, choosing soda blasting can give you the results you’re looking for without needing to worry about the possible aftereffects of abrasive blasting. With a lower level of pressure and debris, this particular treatment brings a high level of efficiency with a lower level of follow-up services needed in order to finalize the services delivered. As with any of the services that we bring to the San Diego area, our soda blasting option is here to provide you with quick results that hold true to our dedication to affordability. When looking for a quality service that can provide you with the high level of clean you need, making the choice to reach out to the experts at Sandblasting San Diego will deliver effective results without hassle. 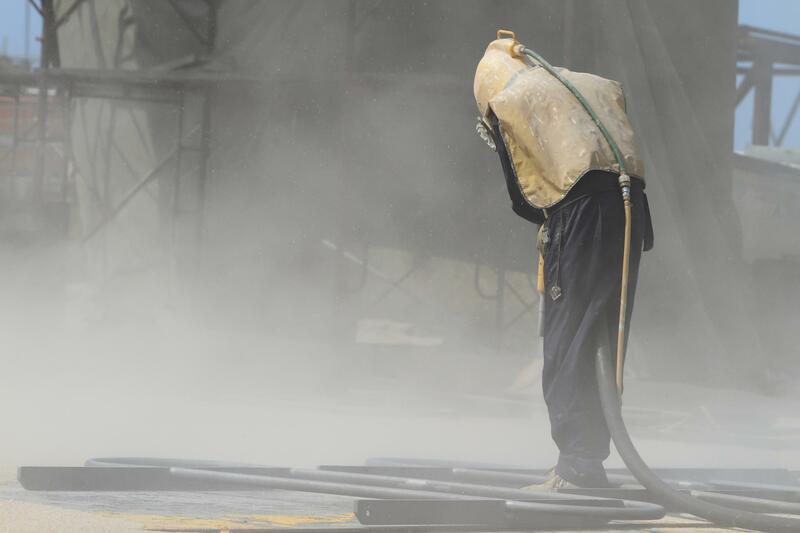 All it takes is picking up the phone and reaching out to the best in dustless blasting San Diego, California has to offer and bringing in the expertise of our specialized professionals.